Explore ten deadly dungeons, decipher riveting puzzles, avoid terrifying traps, and vanquish hordes of monsters... all while slinging and crafting powerful magic spells in breathtaking VR! Welcome, apprentice of the mystic arts! Only you have any hope of saving your kidnapped master! Don your wizard robes and conquer ten devious dungeons, decipher mind-bending puzzles, avoid terrifying traps, and vanquish hordes of vicious monsters! Learn to wield elemental power in the palm of your hand, craft hundreds of custom spells in your workshop, and unleash your full potential as you begin your Mage’s Tale! The Mage's Tale takes place shortly before the events of The Bard's Tale IV: Barrows Deep. 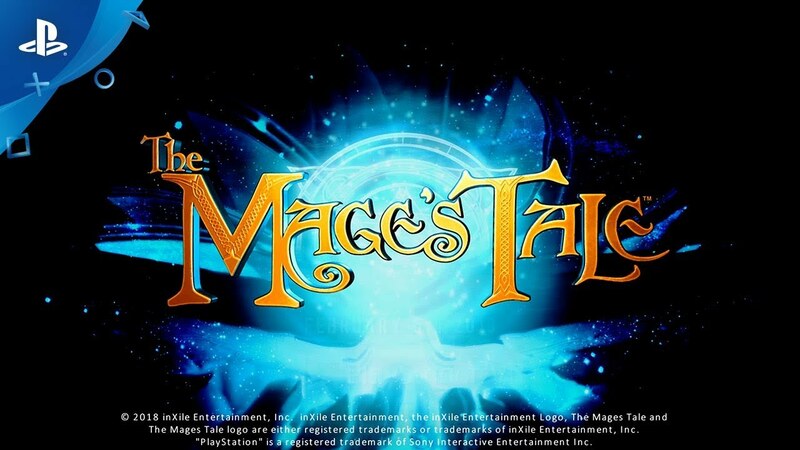 In addition to allowing players to experience that world in VR, The Mage's Tale features characters that also appear in The Bard's Tale IV! It's a unique bit of storytelling that serves as a fun bonus for any gamers intent on playing both games.